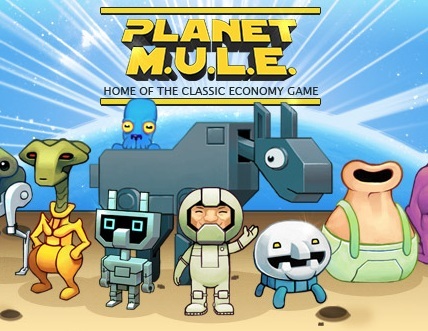 Java-Gaming.org > Games Center > Featured Games > Planet M.U.L.E. As this hasn't been mentioned on JGO yet, I thought I'd add this little gem to the featured games section. Its made by the same folk (Turborilla) behind the really cool Mad Skills Motocross game. The games been popping up all over various gaming sites and even got slashdotted. Planet M.U.L.E. is an economic strategy game for up to four players connected over the internet or your local network. 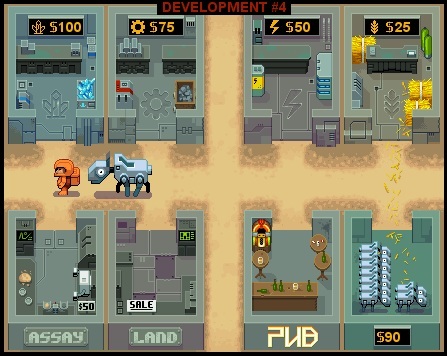 It is based on one of the earliest multiplayer games of all time: Dan Buntens M.U.L.E. by Ozark Softscape. edit - fixed turbozilla typo. oops, sorry my bad, must have been thinking of godzilla at the time.